Y’know… I’ve given McLean the business over the last decade for some of their policies. 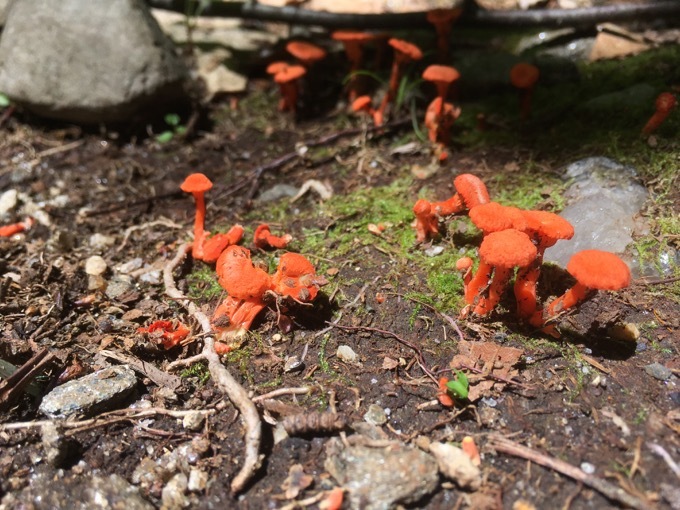 Notably, that they “disallow” any trails to connect in to their property and trails. 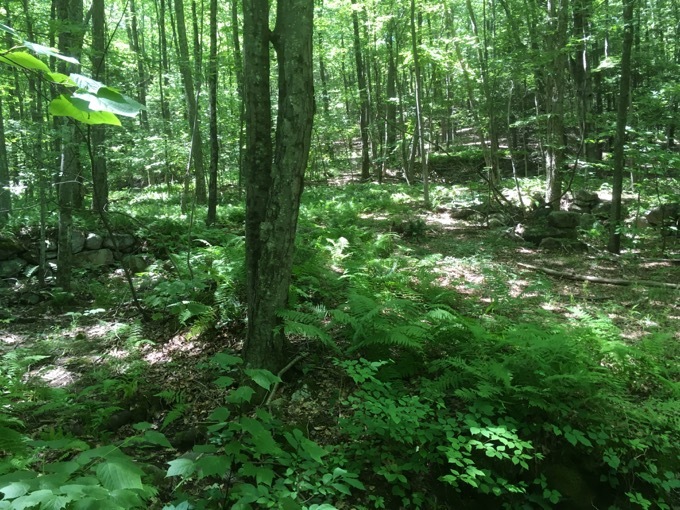 This is a terrible policy because McLean is literally surrounded by some incredible trailed parcels owned by the Simsbury Land Trust, Granby Land Trust, Holcomb Farm, the state, and the town of Granby. It has annoyed me since I learned this in 2008. 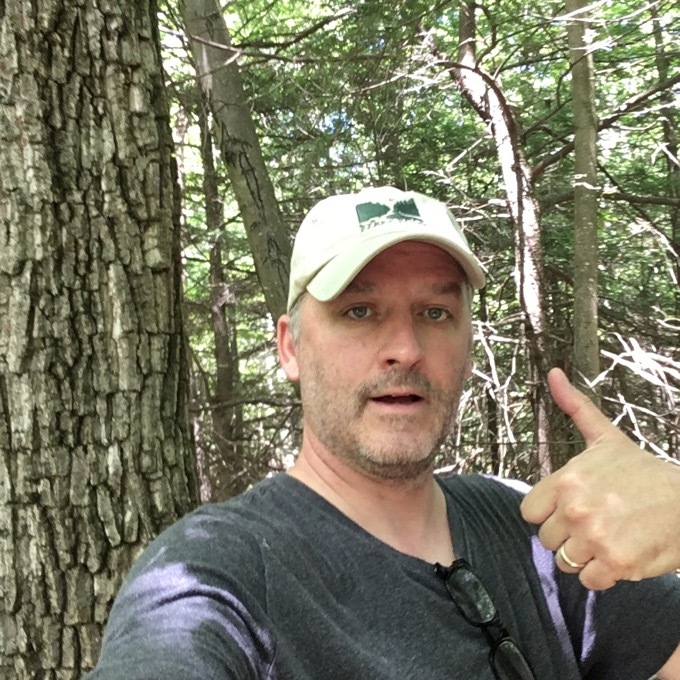 And yet, here I am in the summer of 2018 hiking another McLean trail in order to “complete” the town of Granby. And very much enjoying myself. I’ve softened my stance ever since McLean released the new map of the their trails. 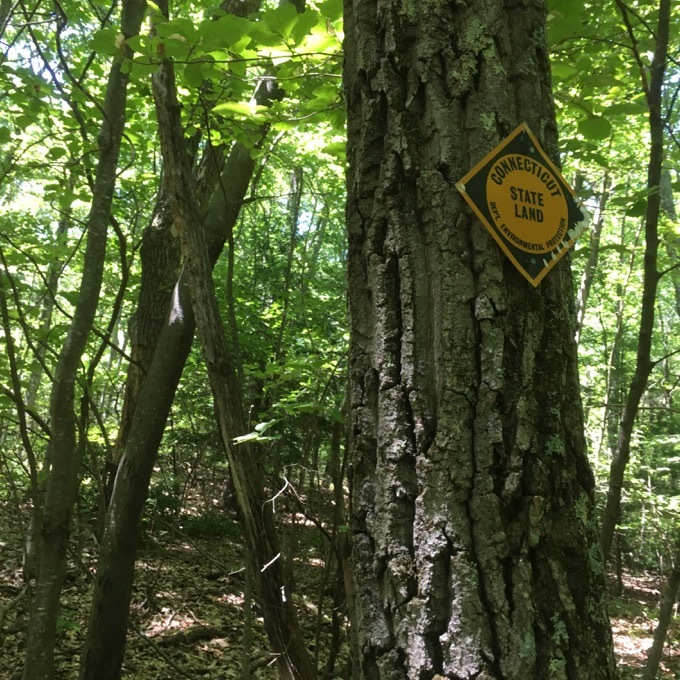 Granted, you’ll still note their steadfast refusal to include any of the non-McLean trails – many of which connect to McLean’s vast network. The Pine Cone Trail is… sort of weird, especially in light of what I just wrote above. It is a “dead-end” dogleg trail in the extreme northwest corner of the map above. To get to it, one must walk on woods roads for a fairly long stretch – which isn’t bad. They’re quite pretty. But whether you approach the Pine Cone via Weed Hill Road or Broad Hill Road (from the north or east), there must be a reason you’re walking it. In my case, it was the very last thing for me to do in the town of Granby in order for me to call the town complete. But I’m confident in saying I’m alone in this reasoning. For others? 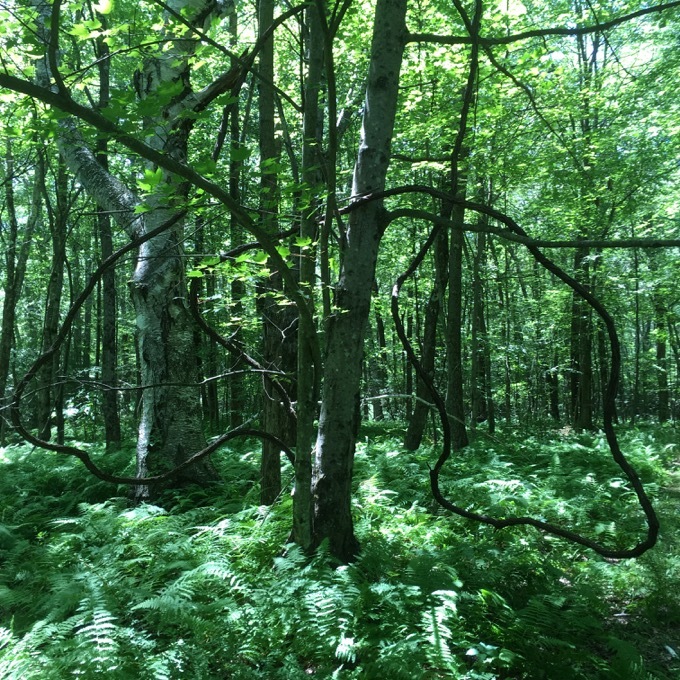 Let’s be honest: It’s sort of a silly trail to hike on its own. I’ll explain what I mean in a minute, but first, let’s look at some of the stuff out here (and this is pretty “out here” insofar as Connecticut and especially Hartford County are concerned). 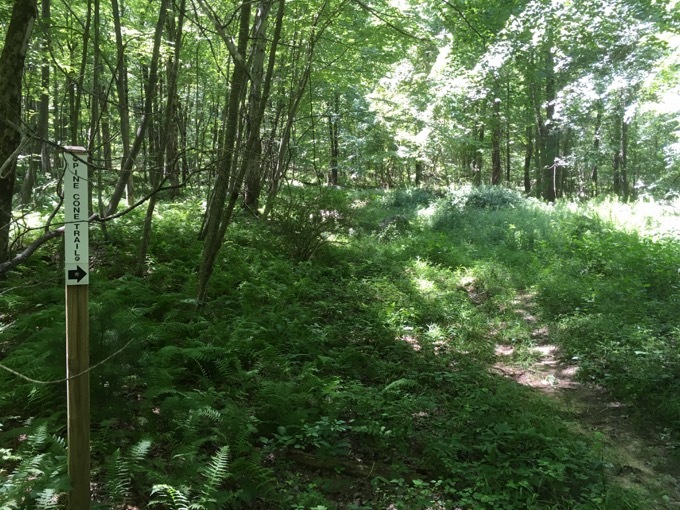 The trail is officially part of the McLean Game Refuge (Western region). 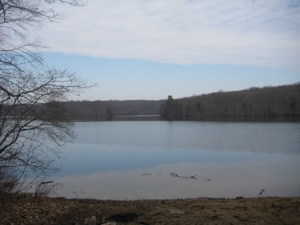 It can also be accessed via a hike through the western half of Holcomb Farm. If you come via those routes, you will pass by Carpenter’s Falls. 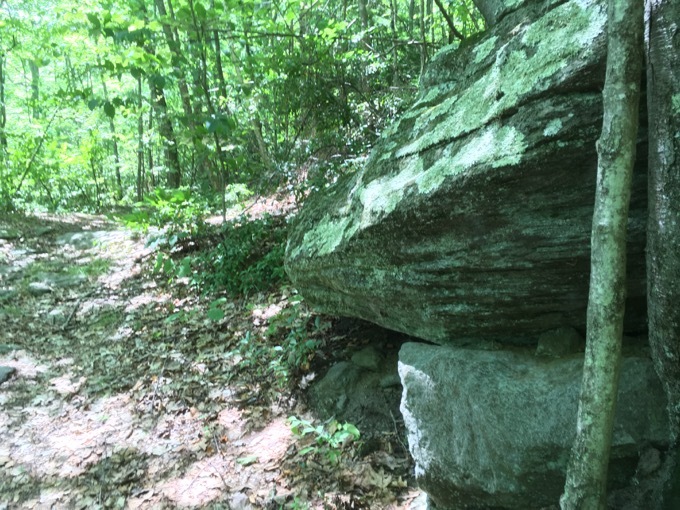 If you come via Broad Hill Road’s eastern end, be sure to check out the land trust’s Diamond Ledges. Got all that? Good. And that’s just the norhtern/northwestern part of McLean! I got to the Pine Cone trailhead via the northern end of Broad Hill Road. 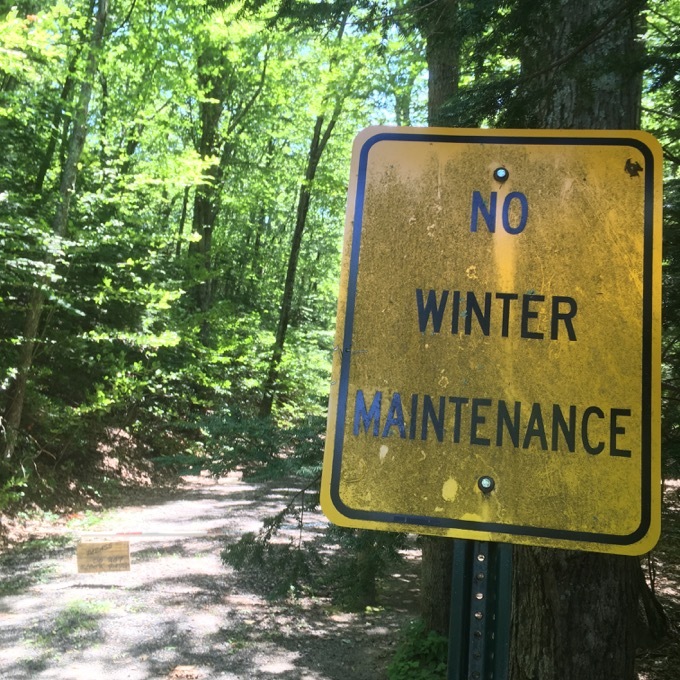 This road hasn’t been maintained for vehicle traffic for many years, and is now a pleasant stroll through the open Granby woods. The Pine Cone Trail heads due west from the road and didn’t instill confidence at the outset, as it was overgrown and fairly faint. But I forged on. 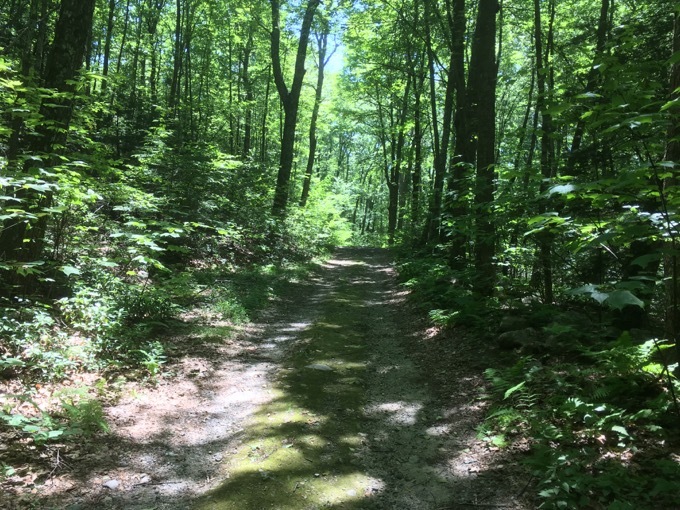 The trail is named for “The Pine Cone” which isn’t a pine cone at all, but the odd name for the hill it summits along the border of Enders State Forest, high above Enders Falls. But before you get too jazzed for the well-known and beautiful Enders Falls, we still have the Pine Cone Trail to deal with. If you still to the trail, it continues to climb and gets a bit rockier as you go. There are a bunch of old foundations along the way and I couldn’t help but think of how miserable it was to live out here in the 1700’s. Heck, there’s even a book all about those hardy souls that I read and reviewed! After a mile or so, you have a decision to make. A faint trail continues west, into Enders State Forest. 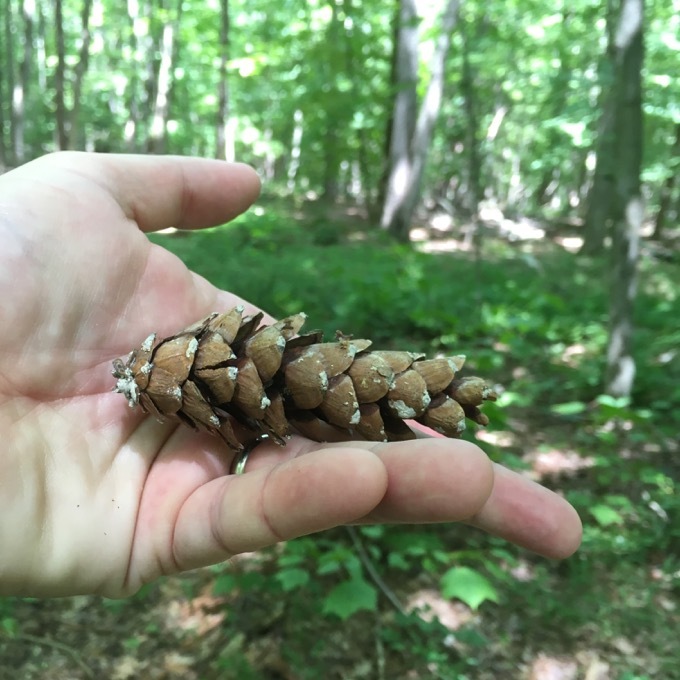 The Pine Cone Trail turns sharply right through some laurel and blueberry bushes in search of the true Pine Cone. I followed the trail into Enders for a bit, but realized it just travels through the woods and likely peters out at some point or just connects to a road in Hartland or something. I turned around and completed the Pine Cone Trail. But here’s the thing. It just… ends. Ingloriously in the middle of the woods atop a little bump weirdly called The Pine Cone. And that was where I officially “completed” Granby. I even took a rare “selfie” and felt appropriately idiotic doing so. 9 towns down, 160 to go! Except… the trail doesn’t actually end. And this is why I keep droning on about McLean’s weird ways. The trail continues, quite noticeably, down the hill to… one of the prettiest spots in the entire state: Enders Falls. 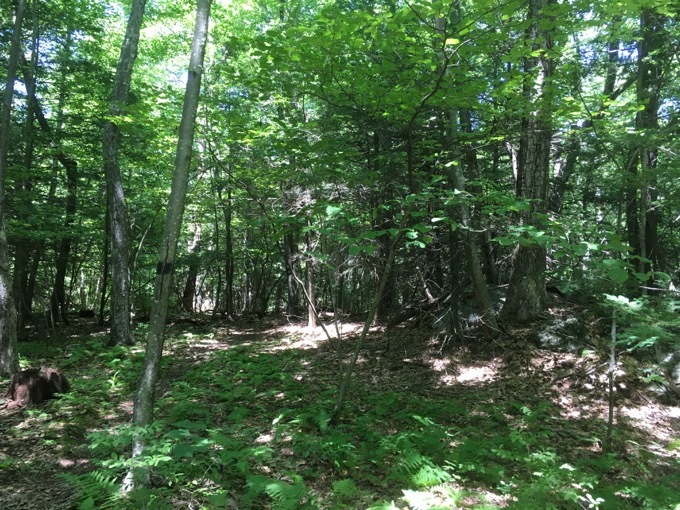 So you tell me: McLean named and blazed this trail that just ends abruptly in the middle of the woods and is adamant that it “can’t” connect to non-McLean trails? 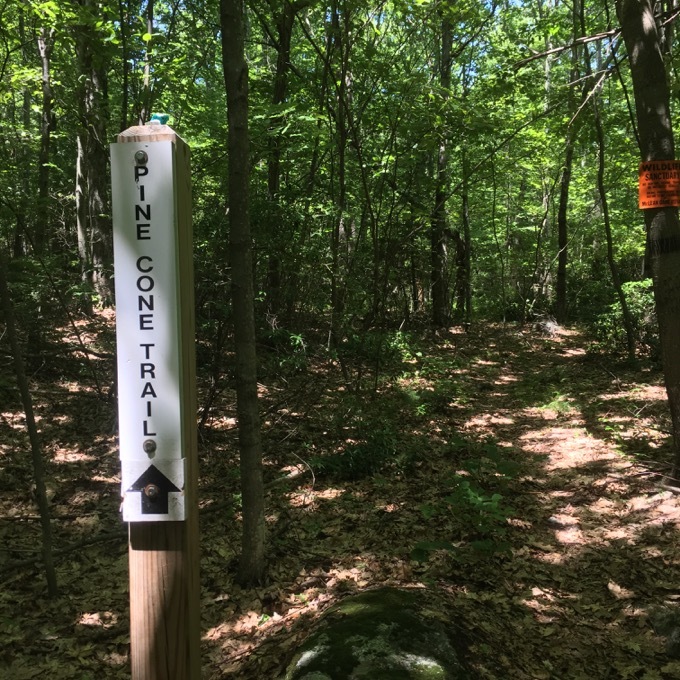 But this trail that literally goes nowhere on its own, actually connects efficiently and directly to one of our state’s top natural scenic spots? And now you know why I’ve been vexed by McLean for a decade now. Having been to Enders Falls multiple times, and wanting to share my town completion excitement back home with my family, I turned tail and jogged back to my car.